AFL theme song (question to all Aussies)? What is the name of the song and band of the irish afl theme song, the one where there throwing the ball, running on the horse track and racing 4wd's and ****. It has Jonathan Brown nick Reivwolt and crap (all the star players). Someone please tell me I desperately want it! GO CARLTON!!!!! THEY KNOW WHERE... show more What is the name of the song and band of the irish afl theme song, the one where there throwing the ball, running on the horse track and racing 4wd's and ****. It has Jonathan Brown nick Reivwolt and crap (all the star players). Someone please tell me I desperately want it! GO CARLTON!!!!! THEY KNOW WHERE COMING!!!!! Best Answer: Dropkick Murphys is the band, the song is called "Im Shipping up to Boston"
That's an awesome ad, as well as an awesome song. Its 'I'm Shipping up to Boston' by The Dropkick Murphy's. 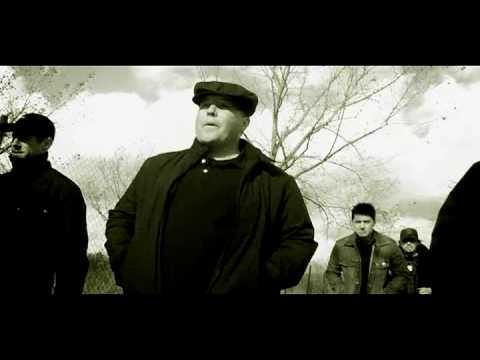 Here is the link to the song, by the Dropkick Murphys. The song is called Im shipping up to boston, and its amazingly good. Con job, Vics don't be so silly. Where can i download AFL theme songs? Favorite AFL theme song in order? Who has the best afl theme song? What is your favorite AFL theme song? Does anyone have afl hawthorn theme song? What do you think of AFL (Aussie Rules)? Would Australian government be able to function if Australians were not under the reign of royalty from the UK? What would you do if a police officer sneeze on you? What would be your reaction if a bus ran over kids in front of you? Is it ok to switch footy (AFL) teams? Why are women so utterly selfish and vane? So where is everyone who called me uneducated for saying Trump would win? Who is retarded now?